"No where in the world is presented a government of so much liberty and equality." My name is Tyler Farrell. I am a senior at Winterset High School. I was attending the banquet you spoke at Monday, May 21. First of all, I think that what you do is wonderful; for you to give your time to educate others on the life and lessons that Abe Lincoln so strongly followed. We take freedom for granted. People live their lives just barely getting by, just thinking about themselves, not giving anything for the nation that fought so hard to give them what they have–freedom. I will always remember the way that you looked into my eyes and told me to never give up–to persevere. I have been seriously thinking about going into the National Guard for quite some time now, but you reinstate the belief in me that freedom has a price and I have decided that I will most-likely go through with my decision. I wanted to thank you for what you did for my class and all the others listening. Thank you so much. 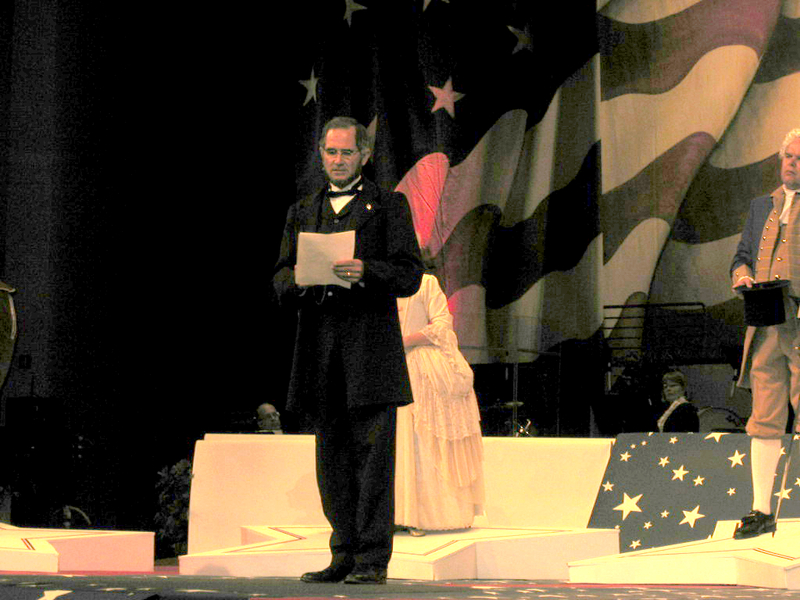 Lee Williams came to our school last year to do a performance as Abraham Lincoln. It was an excellent program. Lee has researched the life and times of Abe well. He has a very down to earth approach that held our Grade 1-6 students’ attention for 35 minutes. I would recommend Lee to any school who would like to have a very authentic reenactment of that time period. Lee’s wife also portrays Mrs. Lincoln.